February is the month of love and romance. Nothing can damper a spark like halitosis, the medical term for bad breath. Remember we all are victims of bad breath at times. 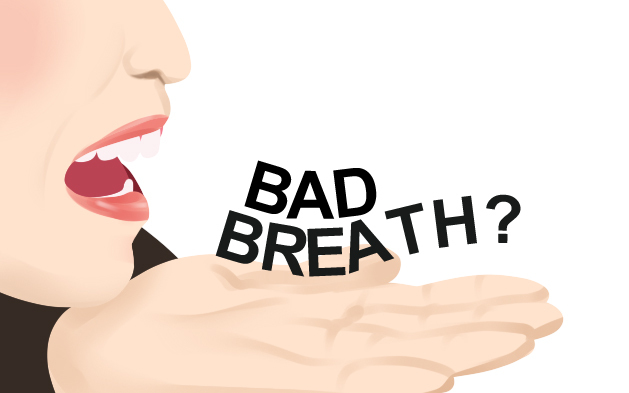 If you suffer from chronic bad breath, don’t be embarrassed to talk to Dr. Gross at Inspiring Smiles. Chronic bad breath can be a sign of infection or and underlying health issue that needs medical attention. Freshen your breath for your Valentine by following these tips. Amp up your oral hygiene. Brushing your teeth twice a day and flossing daily are imperative for good oral health. If you are having issues with bad breath, try brushing and flossing immediately after meals. Preventive dental care is key. Cavities and gum disease can cause bad breath. Identify potential problems early by going for regular dental visits every six months. Bacteria live in your mouth, especially at the back of the tongue. Lightly brushing your tongue or using a tongue scraper can remove residue from your tongue. Dry mouth can produce foul breath. You need saliva to wash lingering food debris and bacteria from your mouth. Drinking too much caffeine or alcohol, mouth breathing and some medications can cause dry mouth, which in term leads to smelly breath. You may love some foods, but some foods, like onions and garlic and dairy, don’t love you back. These foods often leave an unpleasant odor in your mouth. Munching on crisp apples or carrots increases the production of saliva in your mouth and washes bacteria from your teeth, gums and tongue. After meals, chew sugarless gum for a few minutes to loosen food particles from your teeth and gums. Gum chewing also increases the flow of saliva in your mouth to wash away bacteria. Some mouthwashes can help combat bad breath. Remember that a mouthwash will only mask bad breath and not provide a long-term solution. Avoid using alcohol-based mouthwashes, which can actually dry out your mouth and cause bad breath. Stop smoking and tobacco use. You already know smoking and tobacco use is bad for your overall healthy. Bad breath is just one more reason to break the habit. This entry was posted in Bad Breath. Bookmark the permalink.